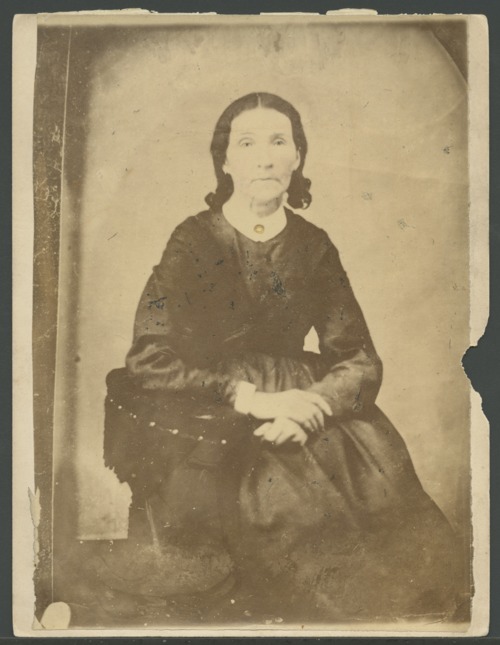 This sepia colored photograph shows Mary Elizabeth Murray Clyens, the mother of Populist reformer, Mary Elizabeth Lease. Clyens, an accomplished scholar and descendent of the Scottish Clan of Moray, arrived in America in June 1849, with her husband Joseph P. Clyens and two of their five children from Liverpool, England. The family eventually farmed in the Allegheny mountains of Pennsylvania.